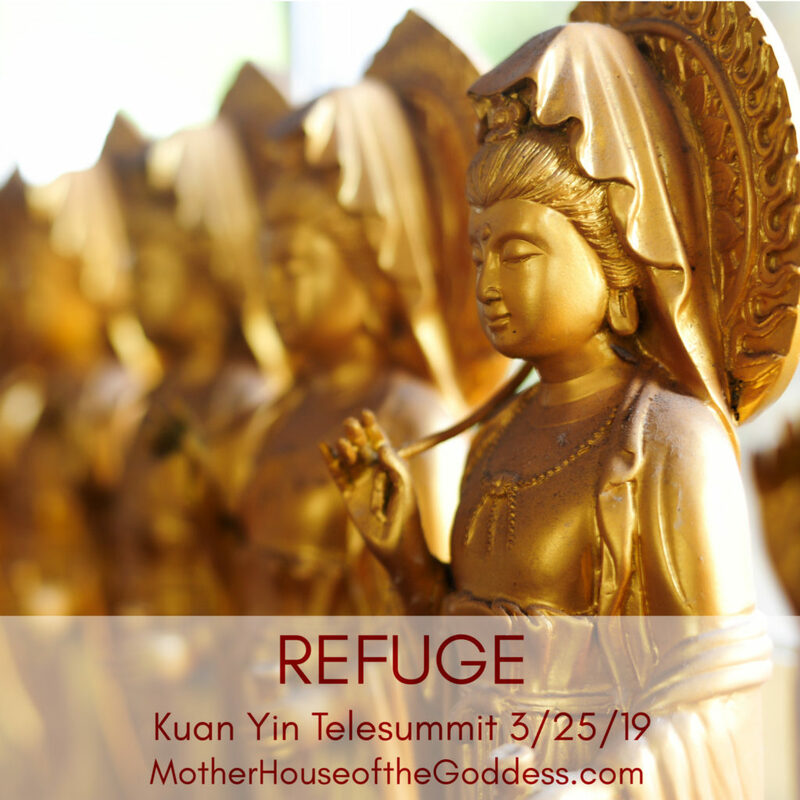 MotherHouse Goddess Temple is delighted to offer REFUGE: A Kuan Yin Mini Telesummit in honor of her birthday on 3/25/19. Kuan Yin is the Chinese Goddess of Compassion and Mercy. It is not flippant to say that Kuan Yin is easily the nicest Goddess that I know. No issue, no hurt, no cry is too insignificant to elicit her assistance. 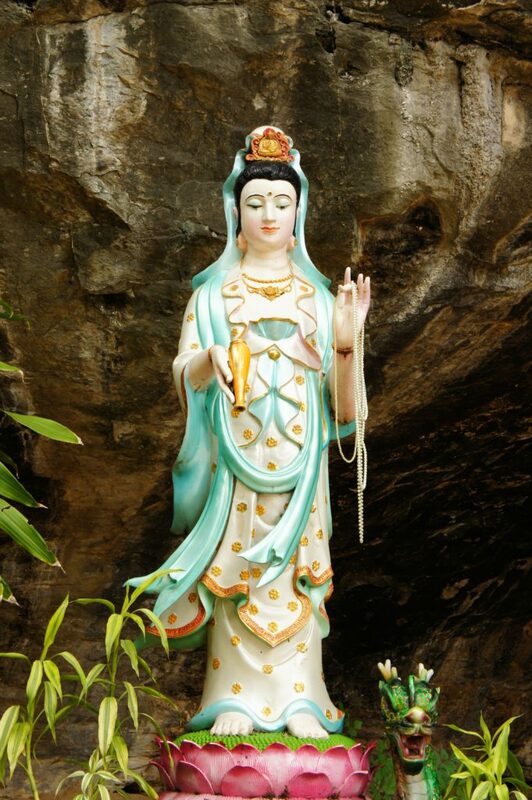 As with the Virgin Mary, stories of Kuan Yin appearing to those in need are found throughout the world. Kuan Yin is the calm in the storm, a beacon to the needy, the Mother who bends gracefully and willingly to respond to the fears of her children. She also can embody fierce compassion as she wields the sword to cut through delusion and expose the truth. Kuan Yin’s devotees are truly global, inspired and comforted by the unflinching presence of this Bodhisattva. Beginning on Kuan Yin’s birthday and continuing for five days, the interviews and offerings from each of the Presenters will be available for you to explore and use as inspiration for your personal connection and journey with Goddess. Refer back to the information as after as you like to call upon the presence of Kuan Yin. The telesummit content remains open for at least one year.